American Dream Cakes™ is a family-owned custom cake shop operated by Randy & Gunilla Kroshus. They specialize in couture wedding and custom cakes for all occasions, but also offers basic decorated cakes and photo cakes (edible images). Though not a sit-down bakery, they have multiple display cases filled with grab’n’go items such as Gourmet cupcakes, tortes, cookies & more made fresh each day. American Dream Cakes™ bakes all their products fresh on premises and are known for their not too sweet home-made buttercream frosting. This way they can provide you with a delicious tasting cake for your special occasion that is truly unique. American Dream Cakes™ is a member of Jacksonville-Onslow Chamber of Commerce, and the National Federation of Independent Business (NFIB). and Gunilla is a member of Jacksonville South Rotary club since 2004. 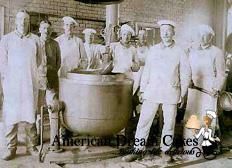 There’s a rich history behind the delicious baking you experience at American Dream Cakes™ Bakery! From Great-Grandfather’s days in the old country bakery to now, the family has held a high standard of excellence and delicate craftsmanship that families can enjoy together. Gunilla’s Great-Grandfather, (3rd from the right) is pictured in his bakery. While the new establishment is much more “state of the art” the quality and passion for freshness you taste in each and every pastry, cookie, cake or other creation is the same! Visit our location on Gum Branch Road to pickup some of their sweet delights baked fresh daily! 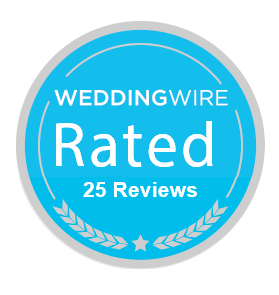 With so many of their clients planning for destination weddings in the Atlantic Beach, Emerald Isle & Beaufort areas, they opened a show-room in Carteret county in 2010 (currently at 416 Cedar Point Blvd. by appointment). In 2015 they added the #SweetTreatsTrailer. A 15′ concession trailer available for weddings, corporate events, festivals and other private functions.